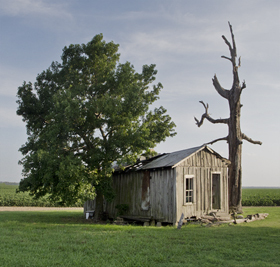 This old farm home near Pettus, Arkansas, sits on the ragged edge of where the eastern Delta melts into the Grand Prairie of Arkansas. 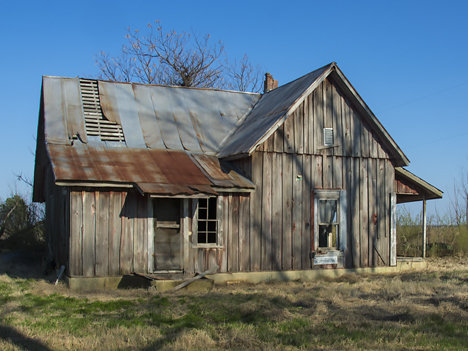 It is representative of early twentieth century farm homes. 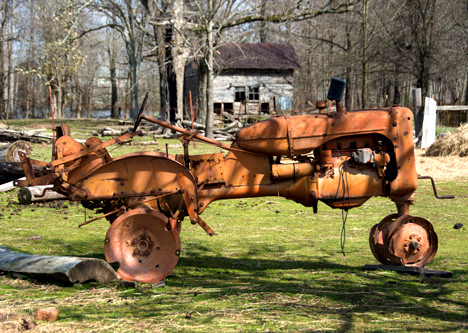 Be sure and see our Corndancer Photo of the Week story for more information on this old house. Click on the old house to see more pictures of the house and the place where it sits. 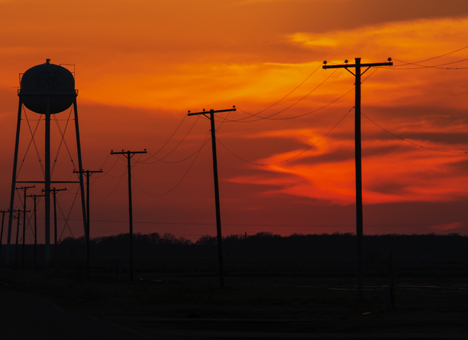 We say all this to introduce you to a sub region of the Delta, to wit: The Grand Prairie. The area is roughly comprised of three Arkansas Counties, inland from the Mississippi River, between the White and Arkansas Rivers. Denizens of nearby areas will probably claim to live on Grand Prairie sod. That said, we understand that divine geographical distribution does not respect political boundaries. Or anything else political for that matter. Whereas the eastern Delta is mostly characterized by permeable sandy loam, Grand Prairie soils for the most part are thicker with a tad of clay mixed in which makes the area ideal for crops that require flooding, such as rice. It also works really well for getting pickups, rice trailers, big trucks, tractors, and combines stuck. 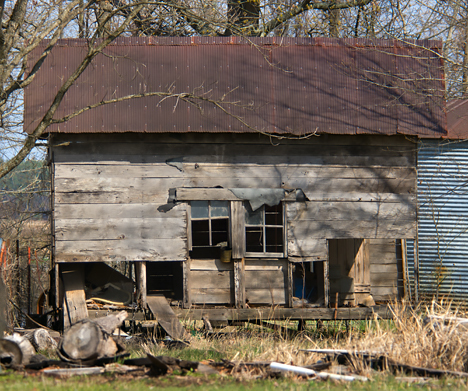 The folks who live in the Grand Prairie will tell you in a heartbeat that’s where they live, much like their brethren to the east who similarly let you know they live in the Delta. People who value their reputations and bodily integrity do not intimate the awful truth, so I have fears for baring the issue. You will know that I survived if you get a Weekly Grist next week. For this epistle, we are exploring the Grand Prairie. While nosing around the Grand Prairie, I did a map recon that revealed a promising road. I followed the road and found the old house you see above. 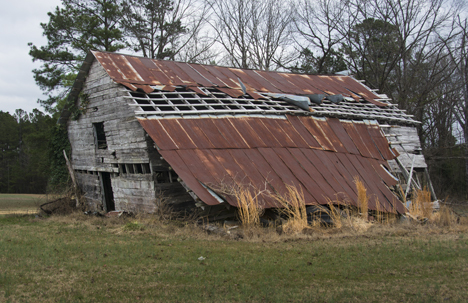 Though the house was still standing tall, missing roof sections will soon take care of that. 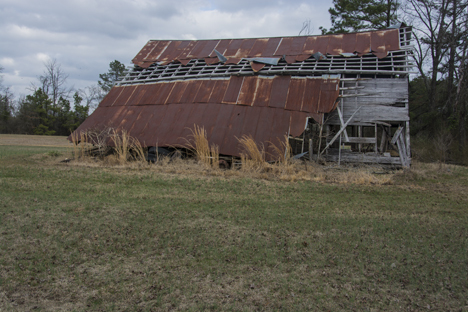 Two outbuildings that were apparently built when the house was built are also still standing. Both of these structures have the same vertical construction. 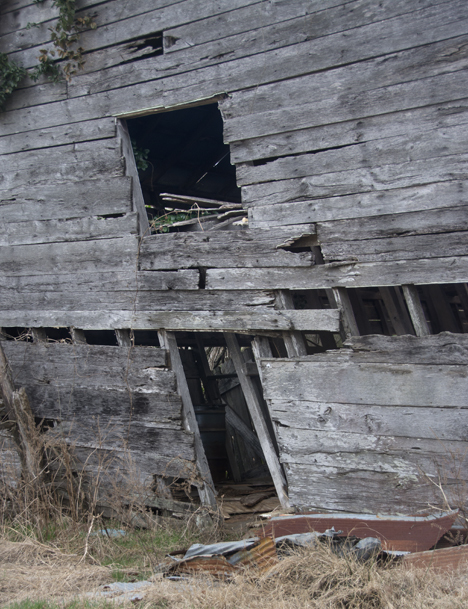 See more pictures of the old house and out buildings on the Photo of the Week page at Corndancer dot com. 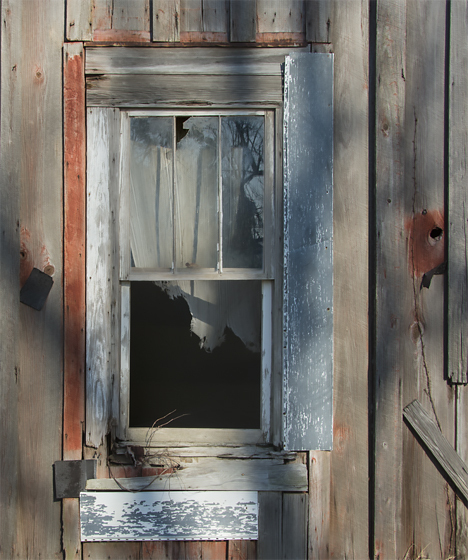 A fresh breeze kept what’s left of the “front room” window curtain flapping. The old curtains have a ghostly look in this video. Can you spot the graphic trick I played on you? 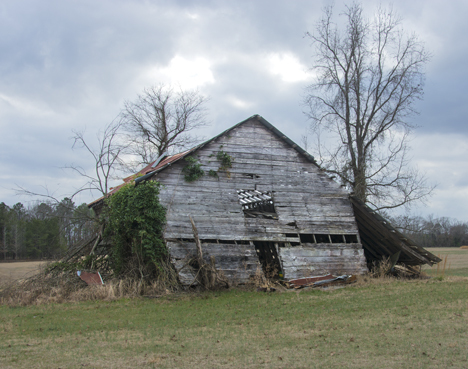 Before we saw the cool old house, we saw this structure which would be described in sales literature as a quaint fixer-upper in a peaceful rural environment. But wait, there’s more. 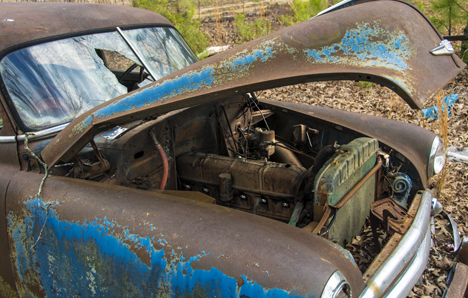 If you act now on the previously offered fixer upper, we will throw in this project tractor. Perfect for the DIY aficionado. Meadow muffins not included. This is one of my “love-to-look-at-it places. 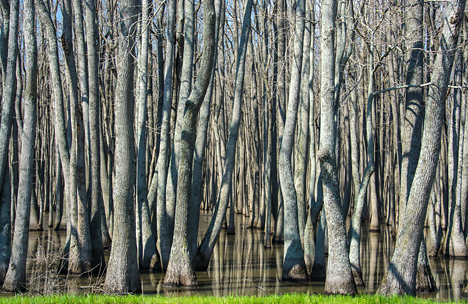 U.S. Highway 165 splits this grove of trees, always in water, just west of greater Humnoke, Arkansas. Pronounced “hamah-noke” by some good ol’ boys (and girls for that matter). 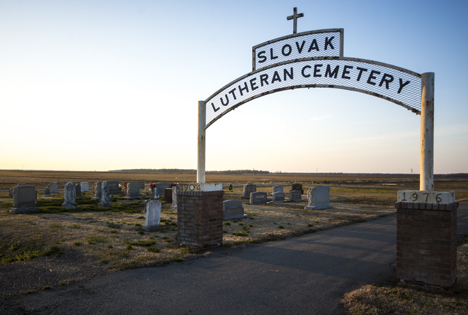 Our last stop of the day was Slovak, Arkansas which has an interesting history. Just outside the community is this Lutheran Cemetery. There is a Catholic cemetery in the confines of the community. The sunset caught up with us as we were putting Slovak in our rear view mirrors. The Grand Prairie Water Association storage tank added drama. It was a good day. Everything you saw today was not much more than an hour from the Chez Dempsey. I strongly suspect that in many other environments, perhaps yours, there are other close-by opportunities which have great interest but have yet to garner recognition by the local tourist promotion people. That means that crowd control will not be a problem. It’s just a matter of discovery. 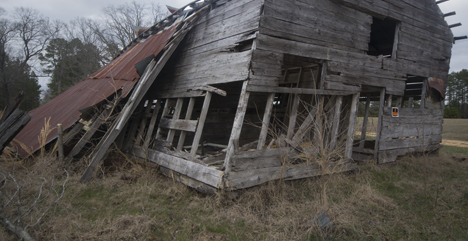 Back on July 17, 2011, acting on a good tip from a good friend, I sought out what I believed to be the photo-ready remnants of a former tenant / sharecropper house north of Lakeview, Arkansas. I was not disappointed. 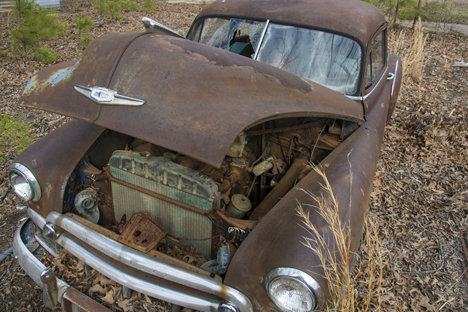 The trip eschewed populated areas on roads that by-passed swamps and other natural barriers to traffic. Such forays will normally offer pregnant photo ops and this one held true. It’s like a drive-by shoot in the delicious depths of the Delta. (I hope the snoop police do not pick up on the aforementioned term). You have to be there for the complete experience — which includes sweat, sounds, sightings, and skeeters — short of that, you will have to be satisfied with our picture excursion. For our original July 17, 2011 post, click here. While you are there, you will be invited to click on our Weekly Grist Gallery where you will see 25 pictures from the trip. 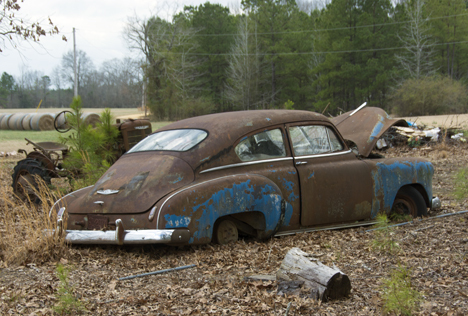 And be sure and see our story of this downcast domicile on the Photo of the Week page at Corndancer dot-com. See two more pix and read more about the building and the times of its occupancy. 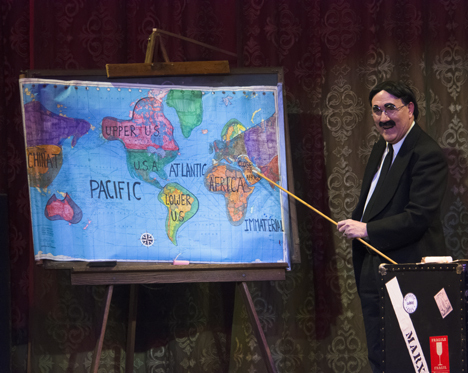 Ron MacClosky as Groucho shares the details of the Marx family version of a world map, a cartographer’s nightmare. The New Community Theatre here in Pine Bluff just successfully presented the first of its 2014 series of live-on-stage performances, a great accomplishment. It did not come easy. Jack Stradley and his wife, Kathy Majewska, and their theatre crew, of this fair city worked long and hard to renovate the theatre, a building first occupied in 1889 and converted to a theater in 1922 after laying unoccupied for several years. The building, up until the renovation started, received only spotty use since 1996. See more of the Ron MacClosky and Community Theatre in pictures and a story at the Photo of the Week page at Corndancer dot-com. The idea was to gut the building and start over to restore it to the 1922 ambiance as much as possible — and then present live variety entertainment shows. After delays, weather issues, and other unexpected gremlins nipping and clawing at the heels of Stradley and Majewska, they made it happen. 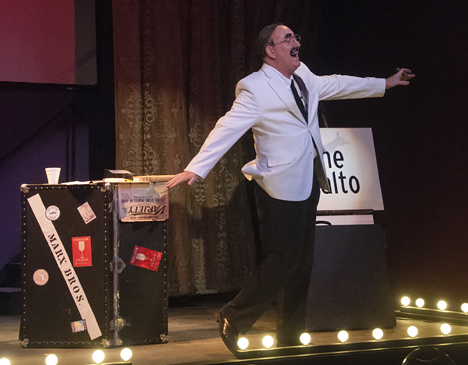 The first shows, March 7 and 8, 2014, featured Ron MacClosky, a highly regarded Groucho Marx impressionist and comedian. He was perfect for the job. Groucho cavorts on stage during his “Animal Crackers” routine. Ron MacClosky authored the show, so it is a now a part of his DNA. At least that’s the way he performs. 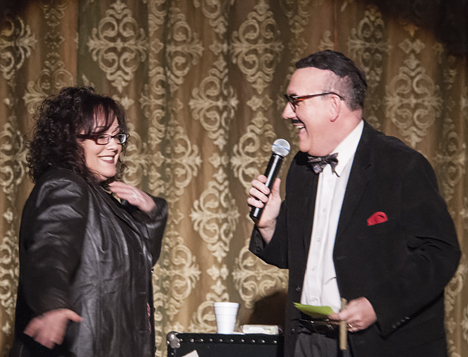 Groucho and his “You Bet Your Life” contestant exchange banter much to the delight of the audience. Groucho puts on a slide show. Though his projector, the spotlight is doing a poor job of showing the image, the audience does not seem to care. The stage footlights at the Community Theatre present part of the early twentieth century ambiance. Groucho trips the light fantastic as he warbles “Lydia, the Tatooed Lady,” a condition less prevalent among women in his time than now. MacClosky regaled the audience with his collection of Groucho and Marx Brothers legends, quips, and other rib-tickling wisecracks. 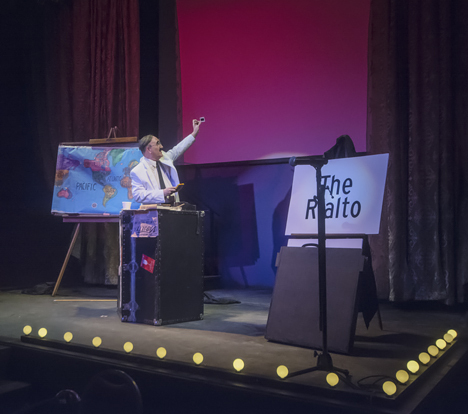 He proved himself every bit as quick-witted as Groucho Marx as he bantered with the audience during a spirited and jaunty recreation of Groucho’s famous quiz show, You Bet Your Life. 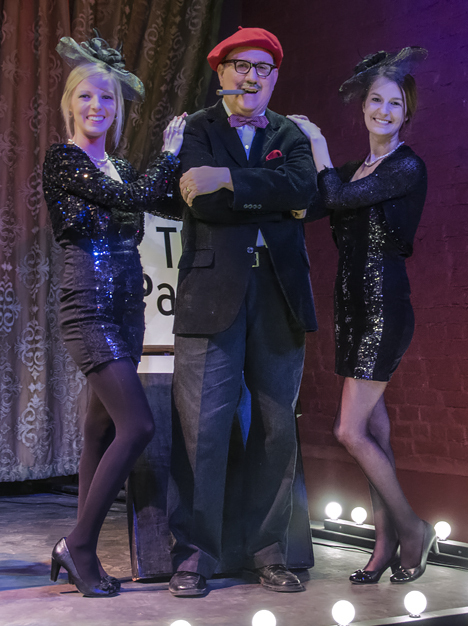 Groucho is all smiles as he strikes a pose with “The Adorables,” the greeter / usher team for The Community Theatre. 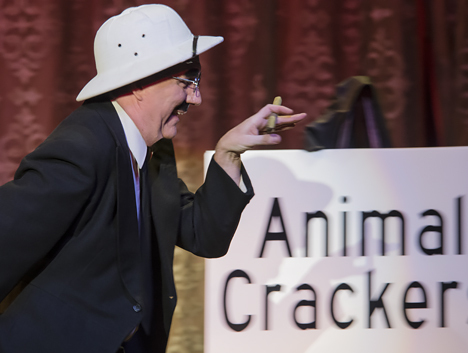 The show was also replete with sight gags that always invoked sight gag giggles from the appreciative audience. The audience repaid his stellar performance with a standing ovation for his efforts. Had I not been clicking away to photograph the event, I would have joined two-handed salute. The same for Stradley and Majewska for having vision and tenacity. PS: Be sure and see pictures of the show at: Groucho Gallery 1 and Groucho Gallery 2.